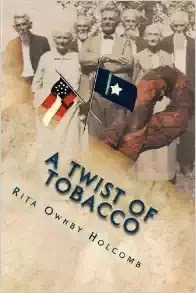 Based upon the factual history of the Civil War and her family’s past, Rita Ownby Holcomb weaves in details discovered by research and hard work. In the areas where facts fail to be known, Rita surmises human nature, strength of character, and the determination to survive. These are all necessary characteristics of a family’s struggle against the forces of war. Her sources vary, documented after each discourse. The stories delve into the horrors man would perpetrate against man, as well as, what mankind would do to help each other. Despite all odds, this family stayed together as tightly as possible. They were patriots, heroes, and martyrs. They left a legacy worthy of the telling. Rita has done a splendid job. Read it and post a review. The author would be most grateful.